When you think about Mount Everest, I imagine the last thing that comes to mind is litter. Yet if you are wanting to climb Everest, you now have to collect 8 kilograms of litter and human waste whilst you’re up there, which can’t include your own. Scaled for the first time ever in 1953 by Tenzing Norgay and Edmund Hillary, Mount Everest is still a very popular mountaineering destination; being the highest mountain on Earth at 29,035ft, it is the ultimate challenge for many climbers. Being a vast natural space, there are no bins or toilets on Everest beyond the base camp at 17,380ft, so it seems many on expeditions simply discard their rubbish and human waste on the mountain with little thought given to its impact on the local environment. Climbers are commonly leaving items such as oxygen bottles, food wrappers, empty tin cans, banana skins, torn tents, and broken ladders on the mountain. With no toilets beyond base camp, most are digging a hole in the snow to do their business, then covering it over afterwards. There are also 260 bodies on Everest, of those who died trying to conquer it but have yet to be found and removed. All of this is causing huge environmental issues. Litter is especially an issue around the area of the 4 higher camps on the climb to the summit; people congregate to eat and sleep here, and often leave their rubbish behind them when they move on. However, the human waste is the biggest problem for locals; as the snow and ice melts on the mountain, it provides essential water to those who are dependent on it. This is now contaminated. Also it has been reported that the smell has become an issue. 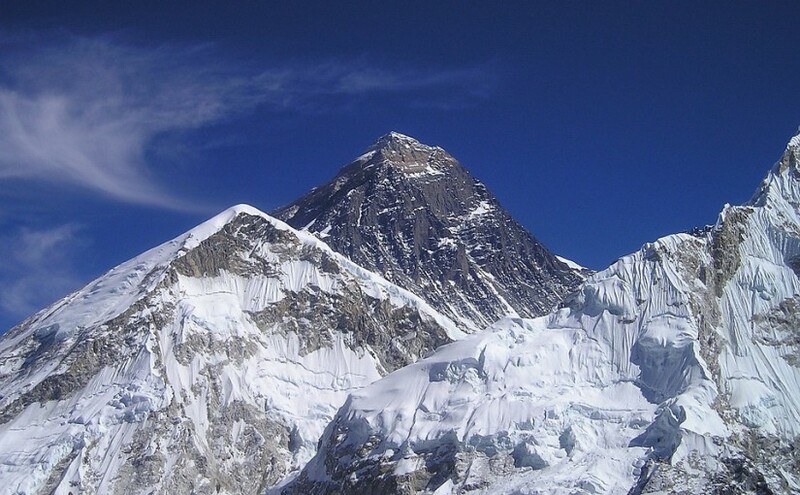 The Nepal government have put a law in place, whereby each expedition group has to pay a $4000 deposit to attempt the summit climb; this will be heavily monitored this climbing season, with deposits being lost if every member of a group does not return to base camp with at least 8kg of litter and human waste, plus their own. Closer to home, Scafell Pike – England’s highest mountain – suffers from similar problems regarding dropped litter according to a BBC report. One suggested reason for this is that some who climb Scafell Pike do so as part of the famous Three Peaks Challenge, and are therefore not regular climbers who would possibly be more aware of their natural environment and the issues rubbish can cause. Having said that, litter is a problem on many mountains worldwide and also on popular hiking routes, so I doubt the issue is caused by such a small group of ‘non-regular-climbers’! Those who climb Everest are committed, determined and experienced climbers, but many still drop litter.